Allstate South Texas Agent | Alliance Insurance Agency | Alliance Insurance Inc.
Alliance Insurance Agency has been a proud representative of Allstate Insurance Company for over 20 years. 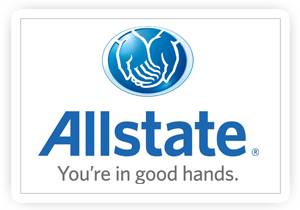 Allstate is one of the largest insurers of autos, homes, boats and motorcycles in the country. Allstate is rated A++ by A.M. Best Rating and they have an outstanding reputation for excellent service. Whether it’s auto, home, renter’s, boat, RV, motorcycle, or life insurance, Allstate has a plan to fit your individual needs. And by combining your auto insurance with other policies, you can save BIG! – up to 30%. Alliance Insurance Agency will glad to guide you through the process and help you select the policies that are right for you. Allstate is the only car insurance company with a built-in Claim Satisfaction Guarantee! We hope you never have an accident, but if you do, being with Allstate means you know you’ll be in Good Hands. You have a car accident and file a claim with us. We pay your claim, but you’re not happy. Can your car insurance claim that? We don’t think so. Allstate is the only company that will write you a check every 6 months you are claim free on their enhanced auto policy. You can’t beat money back in your pocket, can you? Insurance in complicated and can be confusing, but Alliance Insurance Agency will take the time you need to understand all the options available to you and assist you in selecting the one that best fits your individual situation. Complete the Contact Us form! Visit our official Allstate website at: Allstate Agency – Alliance Insurance, to get more information and to get a quotation on the Allstate products and services we offer.